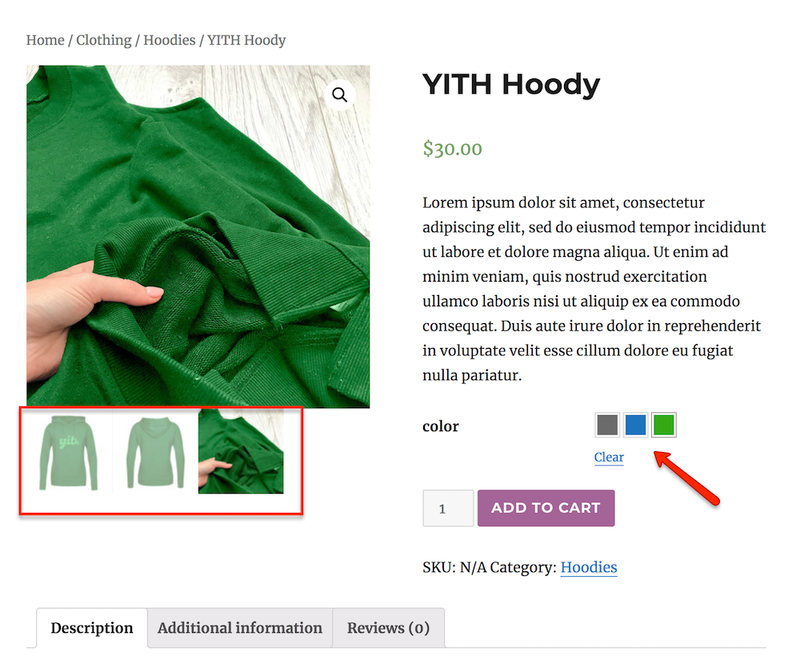 You can now configure the product settings through the created color attribute. 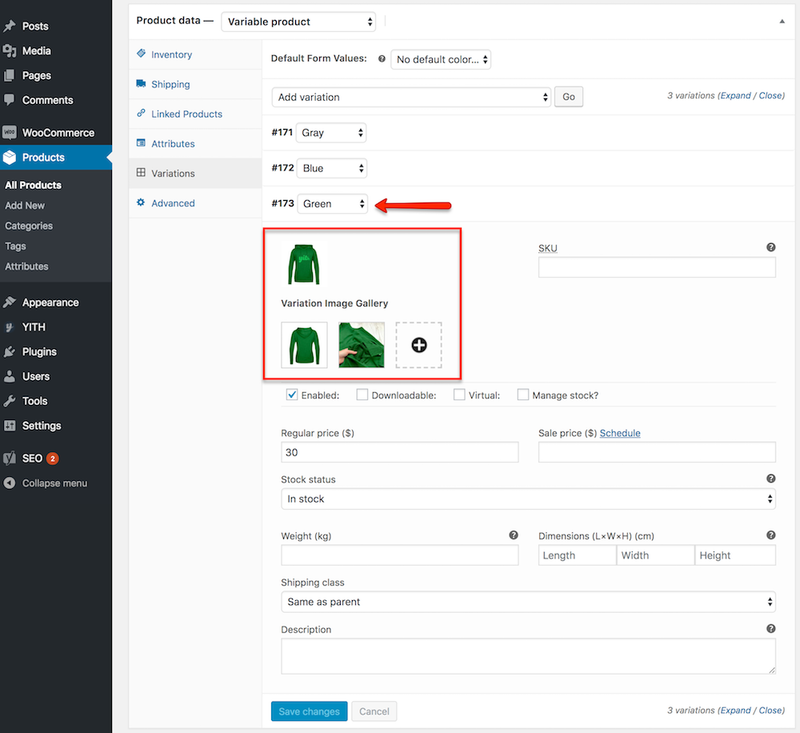 There is an option to add a different (separated) image gallery for each of the product variations. In this case each color will have its own image gallery.